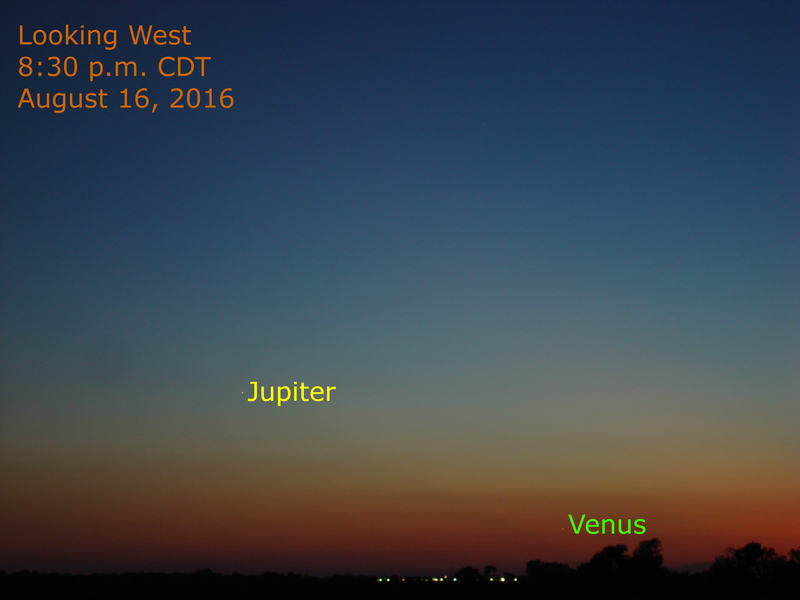 Just 11 days before the Great Venus-Jupiter Epoch Conjunction of 2016, Venus and Jupiter shine from the western sky this evening as seen from the Chicago area. (See this article for more details.) Tonight the pair is 11 degrees apart and closing rapidly. Venus is very low in the western sky at about 40 minutes after sunset with Jupiter to its upper left.